When Benedict Doyle finds himself the owner of his great-grandfather’s North London house, he is dismayed. For it was in that house, as a frightened eight-year-old, that the strange glimpses into his great-grandfather’s life began. Glimpses that resembled faded ciné footage or an old, scratched recording, and that have gradually revealed sinister darknesses in his family’s past. Through those darknesses runs the grisly thread of an old legend about a chess set – thirty-two carved figures believed to possess a dark power, but shut away in the forgotten library of a tumbledown Irish castle for many decades. Michael Flint, meeting Benedict in Oxford, starts to research some of the strange shutter-flash images, and chilling facts begin to emerge – facts that suggest the legend contained a disturbing reality. And when Nell West – no stranger to the eeriness in old properties – begins to compile an inventory of Holly Lodge’s contents for her antique business, it seems that the chess set’s malevolence might be reaching out to the present. 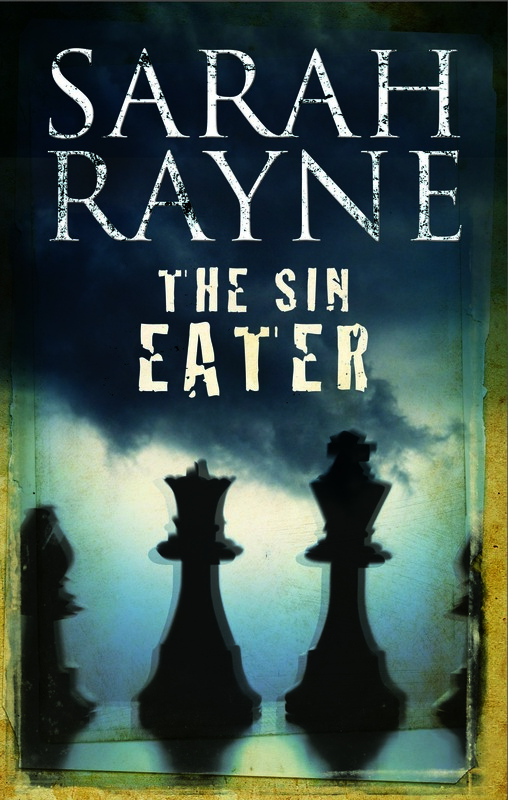 From the reference books: The term sin eater refers to a person who, by means of food and drink, would ritualistically take on the sins of a dead or dying person, thus absolving his or her soul. Parts of the Old Testament hint at the ritual of sin-eating, and over the centuries it seems to have been performed, in various forms, in many parts of the world. The last recorded instance of a sin-eater in the UK was in Shropshire as recently as 1893. The mirror on the dressing-table was reflecting the photograph of Declan. Benedict looked at it, thinking it was odd how reflections changed things. Even this room looked different in the mirror – it was smaller and the walls were darker. If you narrowed your eyes, you could even think you were seeing a fire burning in a small grate. Benedict quite liked seeing this, because people did not have fires like that any more. He kept his eyes half-shut for a while, then he opened them, expecting to see this bedroom reflected in the glass. But it was not. He could still see the firelit room. There was a bright red rug in front of the fire and a small table and two chairs. Standing by the fireplace, its leaping light behind him, was the man from the photograph. Declan. Was that firelit room where Declan had lived? Declan was Irish – would the cottage be in Ireland? Benedict looked round the room in fear, but there was no one there. Let’s pretend… The spell that had taken Alice to that other world through the looking glass. The voice had a way of pronouncing things Benedict had never heard, and the words werebroken-up like a crackly old radio, or as if they were coming from a long way off.